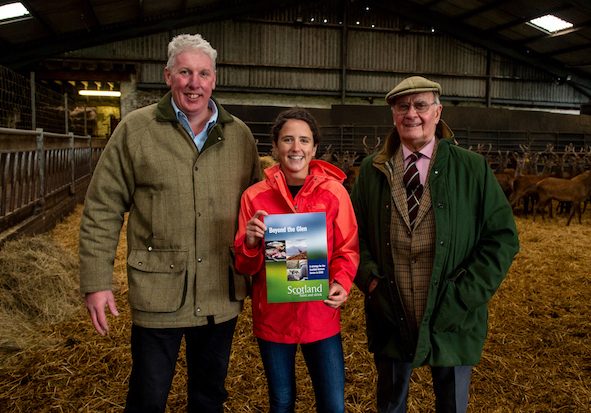 The first ever strategy for Scottish venison has been launched, with the aim of bringing together wild and farmed deer interests and setting out nine ‘key areas’ for growth across the sector. These areas include developing new supply chains, tailored support for deer farming, developing a scheme for co-op owned chills and larders and supply of local product to local markets, consumer promotion, education, skills development and building on Scotland’s reputation as a centre for world-class expertise, and further R & D including market insight. “I am delighted to help to launch this strategy for this exciting, burgeoning sector in Scotland’s food and drink success story. “Venison is a premium food, renowned for its quality, provenance and health credentials, and its reputation continues to rise in both domestic and international markets. We know the venison market in the UK alone is estimated to be worth around £100 million per year and demand has been increasing year on year. With this strategy in place, the sector in a Scotland now has a fantastic opportunity to meet rising demand, displace imports and target new market opportunities. “I welcome that the industry has come together to develop a plan that will build on the strong foundations put in place by the venison pioneers in Scotland. Deer farming and management play a significant role in supporting a thriving and sustainable rural economy and this strategy will support our shared wider ambitions to grow it.